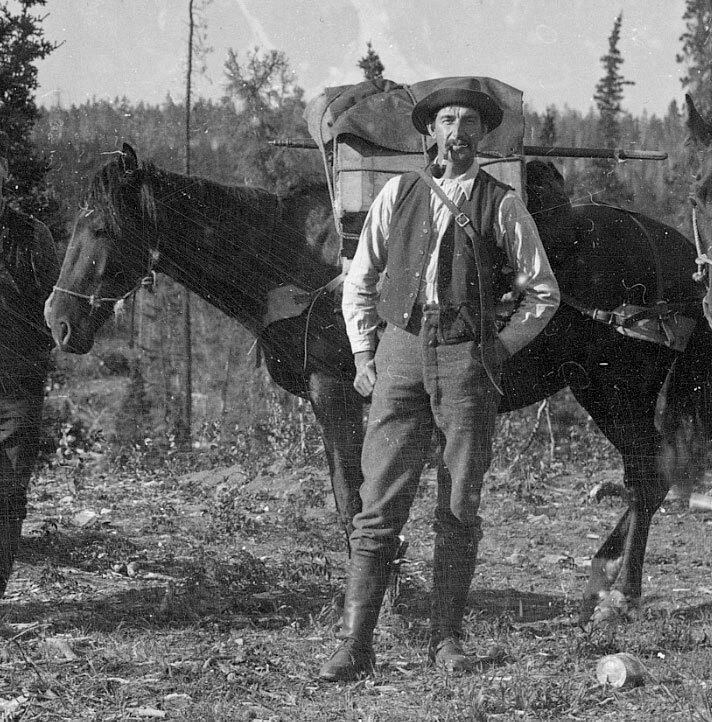 In 1914 Samuel Prescott Fay led a party of five men and twenty horses on a scientific expedition from Jasper to Hudson’s Hope. On October 5th he passed below what is now Tumbler Ridge. Camped out the next night, near what is now known as Bullmoose Marshes, his party heard the blows of an axe. Next morning they met Neilsen, the Danish trapper responsible for the noise. Neilsen was the first human they had encountered in three months. He told them about “the war”. They thought he was referring to the war between the USA and Mexico, but he meant the World War. Within weeks, four of them would sign up to serve. Two of them would lose their lives in France. The lake was a pleasant surprise, not its existence of which Neilsen had told us, but its beauty, and seen in the morning light it was certainly a lovely spot, the kind of lake you read about and such a place as you would pick out to build a house and live. It was about twelve miles long, set in a big depression of the foothills which rose quite abruptly from its shores. Its outline was irregular and here and there a point extended into the lake. Not a breath of air stirred and the surface mirrored the surrounding hills. Little could Fay have imagined the changes that would occur in the surrounding area in the century that followed his expedition. A hundred years and two days after he took the first photographs and provided the first written description of Kinuseo Falls, the Tumbler Ridge Global Geopark was officially designated at a UNESCO conference. This coveted status has potential benefits for places like Gwillim Lake, which, like Kinuseo Falls, can now become one of the official Geosites. This involves education and interpretation, and the Tumbler Ridge Global Geopark hopes to partner with BC Parks to enhance the visitor experience through interpretive signage at the picnic area at the top viewsite. One of the text panels envisaged is a no-brainer: Fay’s first written description plus his first photograph. A Geopark is not just about rocks, it is about how the area’s geology has shaped its residents, how it was explored and discovered. 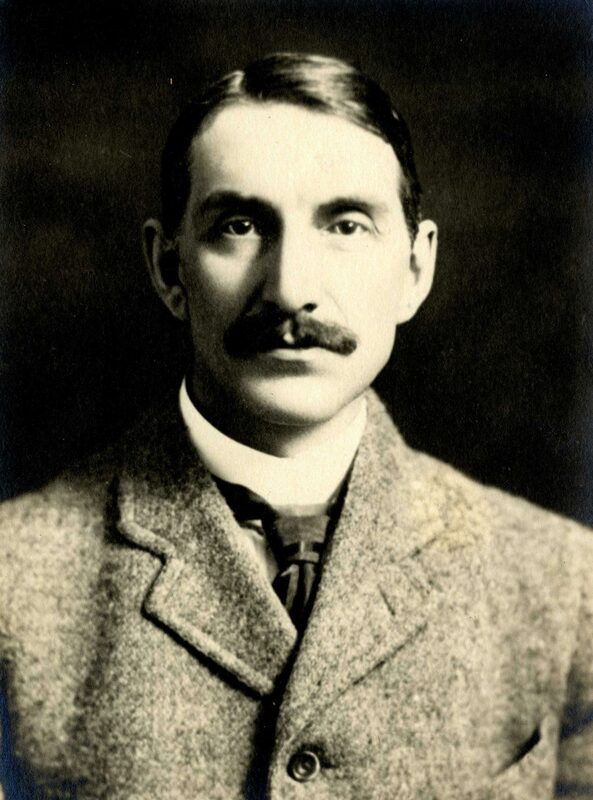 Fay’s contribution as an intrepid pioneer is vital in this process, and commemorating his party’s achievements a century later at Kinuseo Falls, Gwillim Lake and in Tumbler Ridge is an important task for our committee. Thanks to its protected status within a provincial park, Gwillim Lake remains as lovely as it did a century ago, and it is now one of the preferred places for Tumbler Ridge residents to camp, relax, fish, and enjoy the water. And for many of us, also a place to contemplate how much has happened in a hundred years, and how lucky we are to now inhabit the region that Samuel Prescott Fay first documented with such eloquence.